In the afternoon of the 15th of June we got to experience an another traditional Japanese sport – or rather budo. Kyudo literally means the way of the bow, and it is the art of traditional Japanese archery revolving around the buddhist zen-principles. Personally, as I myself do kendo (the way of the sword, or Japanese fencing) back home in Finland, I was really excited to learn about another budo that had its roots in the samurai culture. After we learned about the principles of kyudo and how it especially follows the principles of zen, we got to see a demonstration of the entire ritual that is shooting with a bow in kyudo fashion. After the demonstration our wishes were fulfilled and we got a chance to try our own archery skills against an army of balloons and bunnies on a cardboard target. Dressed up in traditional hakamas we realized that we were nothing but a mere bunch of fumbling beginners (except for Jurrien) trying to understand what on earth we did wrong when we kept failing again and again. Simply put, shooting a traditional Japanese bow is hard. Eventually, we managed to get the hang of it and everyone hit at least one target and got a medal of (sweet) honor as a trophy. Along with the excitement of shooting a bow the kyudo experience was a lesson on the principles behind the action. 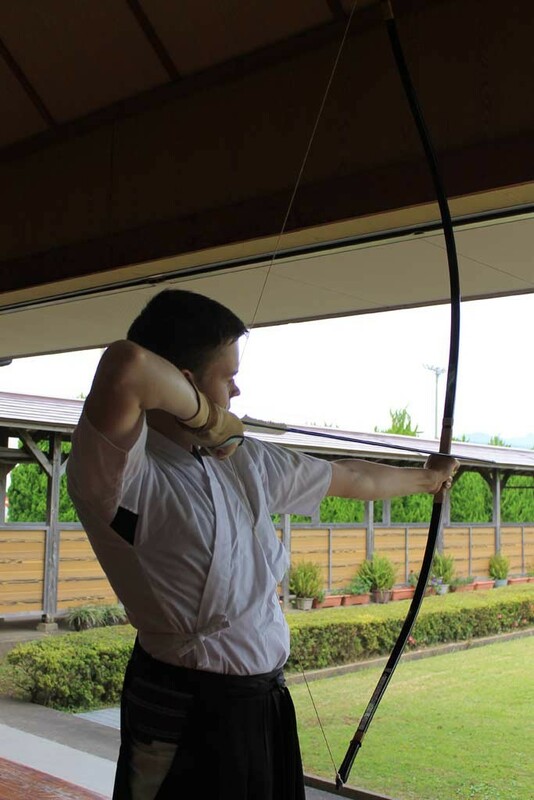 We didn’t only learn to shoot, but also how and why to shoot it like it is taught in kyudo and the teachings and philosophy connected to it. All in all, we learned a lot from our brief visit to the kyudo-jo in Omura City.